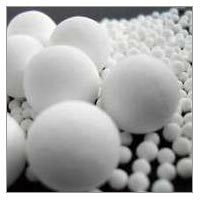 Ceramic Balls are perfect to be used at temperatures up to 1725 deg. C (3135 deg. F). These balls are very hard and abrasion resistant. 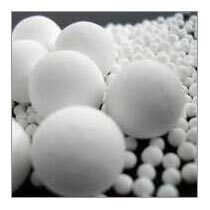 The best thing about our Ceramic Balls is that they can withstand all furnace atmospheres. 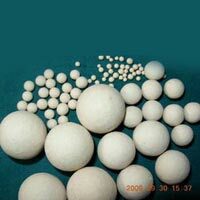 We are enlisted among the reputed Manufacturers and Suppliers of Ceramic Balls. 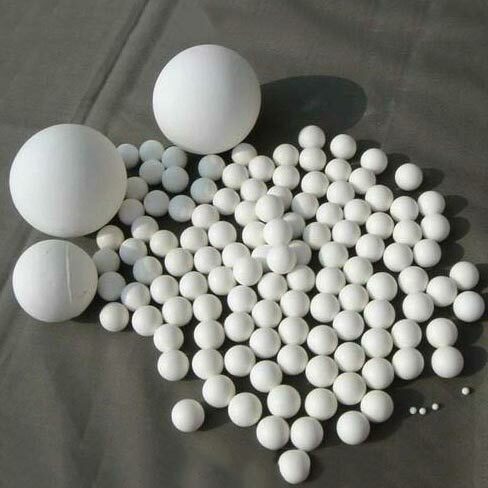 We make available Ceramic Balls in different variants such as Ceramic Ball (Grade_BS-AA), Ceramic Ball (Grade_BS-MS) and Ceramic Ball (Grade_MSBSW). Loss on attrition : 0. 1% max. Bulk density : 1. 25kg/ltr. Water adsorption capacity : 3% max. Operating temperature : 600 max. Apparent porosity : 9. 0%max. TiO2 : 0. 3% max.